Perusing my food blog links collection is a fun way to relax. What started out by checking for dead links evolved into adding my own review. Blogs about food are very popular and many are excellent. A lot of the blogs in my collections are from the lists of super food bloggers who really know the sites. Naturally, blogs by professional chefs, cookbook authors, and photographers have the edge. However, there are some extraordinary blogs out there written by just ordinary folks. Some of my favorites are in bold. My reviews are very personal. Blogs rated high, for the most part, have good photography and healthy international or regional recipes. Some people may totally disagree, but here's how I judge. I am impressed by good recipes presented on a well-designed layout accompanied by nice photos. Regarding layout, a blog must be easy to read and negotiate. Text should be black on a white or light-colored background. If the recipes are good, but the blog blasts me with vintage early 90's wiggling gifs, horrendous ads, white text on dark or almost dark background, and worst of all, autoplay sound, I delete it or bash it plenty, And oh yes, I am looking for original stories and recipes. Blogs which mirror other blogs or have recipes copied from chefs and cookbook authors may get my praise, but they will not get 5 stars. Originality and creativity score high with me. btw Most food bloggers seem to be women, newly married, and young moms. Some of these are quite good, but like I said, my reviews are personal, and I do not rate high food blogs where I find lots of out of focus grainy photos of toddlers or black and white xrays of the toddlers before their arrival accompanied by gory details of childbirth. However, in the end everyone's blog, as long as it is legal, appropriate and kind, deserves acceptance because every blog serves at least one person, the writer, and sometimes their family and friends. Among my favorite blogs are: Chicago's Soup & Bread*, California Avocados*, and many more. Reviewing the blogs will take me a long time, but I try to work on it every day. Your suggestions and comments are welcome and if I include them you will be credited. A Passion for Chipotles eileenchipotle.blogspot.com/ Everything Chipotle! It started with Subway's Southwest Chipotle sauce. I wanted to buy a gallon, but it's not for sale and the recipe's secret. I couldn't duplicate it and Kraft discontinued their chipotle sandwich sauce. Meanwhile, I was adding Chipotle chili powder to everything. Then, my newest cook book Chipotle: Smokey Hot Recipes for all Occasions by Leda Scheintaub inspired me to add a new phase to my life, a passion for Chipotles. So, now, it is everything Chipotle: books, spices, soups, grills, videos, desserts ? Lee's Recipes - Plans leesrecipes.blogspot.com/ Tracks updates made to Lee's Recipes cd, in progess over 10 years! Key Limes by Lee keylimesbylee.blogspot.com/ Everything you ever needed to know about Key Limes. coming soon at a new location. She Simmers http://shesimmers.com/ by Leela Punyaratabandhu, flew up to to a prime spot among my favorite blogs after just of few minutes of perusing. Devoted to real Thai cooking, Leela's blog has beautiful photos, excellent, authentic recipes and interesting well-written stories. And Leela provides a Recipe Index When I googled Leela I found out that she is already very well known. Leela is based in Chicago, but spends a lot of time in Bangkok and writing travel and food articles, such as: "Bangkok street food: Historic Bang Rak's 10 best eats" written for CNN Travel. Table Conversation http://www.tableconversation.com/ by Los Angeles-based award-winning food writer Barbara Hansen is as good as it gets. A++ writing, layout, photos, everything. Read more about Barbara by herself. I want to be notified every time Barbara posts! *** Culinary Institute of America CIA blog is the best of the best. Just go there. See also the CIA Network on YouTube which has hundreds of good videos. ** Heidi Swanson's 101 Cookbooks 101 Cookbooks by www.101cookbooks.com/ is also among the best.Heidi is the author of Super Natural Cooking and Super Natural Every Day. Her blog is recipe journal where she writes about the recipes that intersect her life, travels, and everyday interests. Recipes are from her cookbook collection, her friends, or her own creations. Heidi's focus is on natural, whole foods and ingredients and vegetarian recipes. According to Renee Schetler reports that San Francisco-based photographer and cookbook writer, Swanson had begun a private recipe journal for her Web site. After people repeatedly Googled their way into the file, she decided to start a food blog. Her site combines prose, food photos and recipes. Last fall Swanson published her first book, "Cook 1.0: A Fresh Approach to the Vegetarian Kitchen" Stewart, Tabori and Chang, 2004 Total visitor traffic to her site has nearly tripled in the past six months. Paige Hren, a regular visitor to 101 Cookbooks from Malibu, said that reading Swanson's posts is like having your own prep cook in the kitchen: "She's found the loopholes and what the pluses and minuses are for the recipes." "My traffic really seems to spike when I post sweets -- anything chocolate or anything cute," said Swanson. Though some food blogs have begun to seek advertising revenue, most food bloggers "don't get into this to make money," Hudson said, but to make food a little less ordinary for at least one other person. "How many high-quality food blogs does the world need?" asked Cooperman. "It turns out, a lot." ** The Blender, Williams Sonoma super professional; exquisite photography and writing, No recipe index so you will have to ferret out the recipes by exploring the inspirational category list. It is worth the search. I was delighted to find "Sicilian Pasta with Shrimp and Almond Cream" in the Bringing Home Rome section and "Spice Up Your Juice" in the Juicing section which offers lots of ideas for making tasty smoothies, plus loads of juicing tips. ***All Seasons Cuisine by personal chef Kim is good as it gets. Love everything about her blog. Super easy to read layout, great photos, best recipes, plus interesting witty text. Blue Jean Gourmet by Nishta, a middle school teacher born in Tennessee of Punjabi descent. Excellent. Perfect layout and photos and writing. I will go back here a lot. Here one of many recipes I like here "Green Lentil Hummus". What's Cookin, Chicago from Joelen (pronounced, Jo-Ellen) who describes herself as an avid food enthusiast "with a deep passion for cooking, baking, learning and sharing anything related to the culinary arts and culinary industry". Her blog was called intially "Joelen's Culinary Adventures" . I liked "Salmon Pesto Pasta with Asparagus & Pepper" and noticed that witty Legal Foodie liked it too. You will note that Joelen's blog is often favorited by other bloggers. Check out the Joelen's recipe index. Pinch my Salt by Nicole Hamaker of Fresno, California, who started her blog while living in Sicily with her navy husband who was stationed there. Lucky girl! Stir the Pots - talk about what's cooking in chefs, kitchens, and food by Jeremy Shapiro www.stirthepots.com/ Stir the Pots focuses on food biz, especially chefs, some famous, others not. Together, they stir the pots, talking about the passions, frustrations, or challenges of chefs and other food professionals. Stir the Pots is not a place for lots of tips and recipes. Sometimes Stir the Pots will lead readers to those things, or simply link to some of the terrific web resources for such precious information. But for the most part, this blog consists of the dramas (comedies, tragedies, and everything in between) that capture life around professional kitchens. Mothertucka by Milagritos, a young Spanish speaking blogger who lives in Sydney, Australia. I am not impressed by the layout, but Milagritos rates a listing by me for her Aussie sense of humor and total honesty and for having posted recipe and good photo of Bill Lipscomb's Ginger Soufflé Cake which was originally posted in 1998 by NYT's Frances Fabricant. Other recipes I liked here are Dolmades: Stuffed Grape Leaves and Spelt Sourdough Croissants. Living in the Kitchen with Puppies from Natashya, a Canadian wife, who describes herself as a home cook, avid reader, cookbook reviewer, recipe tester. Natashya has been blogging since 2008. I got quite a few recipes from her site. If you can get through the busy maze of graphics and ads, Natashya has good recipes. Sadly no index. You just have to browse hundreds of recipes which are sorted into categories. I found "Fusilli con Cavolfiore" in the pasta category. The Slow Cook by Ed Bruske, District of Columbia, United States, former reporter for the Washington Post. Ezra Pound Cake by freelance writer and former professional baker Rebecca Crump, although marred by intrusive ads, offers exceptionally good readable recipes on a good layout with a recipe index. See Rebecca's story on how she became a baker then turned blogging into a career. You can Like Rebecca on Facebook. Many many good recipes with fantastic photos here, e.g. Strawberry Sorbet. Tie Dye Travels by Kat Robinson, a writer in Little Rock, Arkansas. Kat writes for several regional publications on a wide variety of subjects. Before Tie Dye Travels, she produced Today's THV This Morning. For fun, Kat travels the region looking for those places and stories that are off the beaten path. Whisk! a food blog by Shari Goodman, an avid foodie based in Ottawa, Canada, who is working through a cooking school curriculum one class at a time, from apple pie to zabaglione and everything in-between. Shari is focusing on her dream of attending culinary school and working through a cooking school curriculum using the Le Cordon Bleu at Home cookbook. According to Lee. "It does not get any better than Shari's blog!" Dough Ball by Courtney who blogs about food in exotic locations like Barcelona, Turkey, London, New York, Rome and Florence. I love perusing her entries and seeing her photos which, although not technically perfect, have such good composition. Her writing is so good too. She just may be a pro. Courtney will hold your interest. See 1969: A Great Year, Especially for Cookbooks to be reminded about that wonderful Time Life series which is still selling. A bonus is the recipe for Garam Masala. Eat, Listen to Your Mother Recipe Index Really neat collection from cook Leland's Mom. Nice photos too. [ouside links] from http://technically.us/eat/x/recipe-index accessed 3/11/12. City Mama blog by Stefania Pomponi Butler http://www.citymama.com/pastaseafood_sauce/ has good Italian recipes and great shots of food and her family in Rome. Mediterranean Cooking in Alaska blog by cookbook author Laurie Constantino was discontinued in 2011 and to Laurie's own domaine which markets her cookbook Tastes Like Home: Mediterranean Cooking in Alaska. Laurie and her husband live in Anchorage, Alaska, and on a rural Greek island. Her recipes cover the whole Mediterranean.area including the Magreb. The discontinued blog at http://medcookingalaska.blogspot.com/ is still up, but the best url is directly to Laurie's recipes index at http://www.laurieconstantino.com/recipe-index/ last accessed 3/11/12. Night Owl Chef by Katherine from New Jersey who ended her entries March 2, 2010 because she was going to Germany. Her blog is still up and has good photos and recipes like "Steamed Mussels and Clams" and "Sun-dried Tomato Pesto". Head directly for the recipe list at http://nightowlchef.wordpress.com/recipes-archive/ accessed 3/11/12. Cutting Edge of the Ordinary by Lisa who lives in Rhode Island and posts nice photos and recipes such as "Minnie's Chocolate Pie" and "Roasted Chickpeas" at http://thecuttingedgeofordinary.blogspot.com/ accessed 3/11/12. La Recette du Jour by an unnamed Yorkshire cook who, after 40 years in the UK, moved to southern France in 1997 url http://www.larecettedujour.org accessed 3/11/12. Cooking is European, specifically Mediterranean and also English puddings. Very nice review of some French Cookbooks. Theresa's Cooking Blog by Theresa in Mèrida http://theresacooks.blogspot.com/ delightful blog by an American retiree who lives with her husband in Mèrida. Theresa has recipes for Thai food, e.g. "Panaeng Neua (Thai Beef Balls in Peanut Sauce)" and more. Especially good are Theresa's posts about living in Mexico at http://theresainmerida.blogspot.com/search/label/living in Mexico . She has some recipes on her original blog ¿What do I do all day? but they can be hard to find. I hope she has transferred them all to her cooking blog. Food on the Food by Tammy Donroe, a Boston-based freelance writer, has great layout, text, recipea and photos. I found a good recipe for Fettucine with Shiitake Mushrooms. Guilt Free Cuisine With a passion for healthy eating, this blog's author is on a mission to rework favorites dishes, collected over the years and create and explore new ones. She tries to avoid red meat and full-fat dairy products, especially cheese and to include plenty of fruit and vegetables, lean meat, fish, low-fat dairy products and some vegan foods. Recipes are simple and quick to prepare. An example is Ainsley Harriott's Acapulco Chicken. http://www.guiltfreecuisine.net/ last accessed March 11, 2012. Progressive Dinner Party is the is the kitchen diary of Zoe Bowman, a 38 year old woman with two small boys and one large man to keep fed in Canberra, Australia. See Recipe Index Be prepared for some bizarre stuff like camel. Those Aussies. 3191 by internet partners, Maria Alexandra Vettese of Portland, Maine and Stephanie Congdon Barnes of Portland, Oregon, talented writers, artists, photographers and presumably cooks, beyond belief. You have to wander here just to see it. Mav and Stephanie's blog has evolved into a book A Year of Mornings, 3191 Miles Apart. Wow! For recipes, go to http://www.3191milesapart.com/index.php/archives/ and scroll down to "Eat / Drink" and browse the selections. They all look good and natürlich every recipe in presented on a perfect layout with gorgeous photos. After reading one of Stephanie's entries, "Healthy Eating at Home", I was converted to storing my food in glass. Virginia Willis is as good as it gets. Great photos and layout plus tantalizing recipes from southern cook and author of Bon Appétit, Y’all! Recipes and Stories from Three Generations of Southern Cooking and Basic to Brilliant, Y'all: 150 Refined Southern Recipes and Ways to Dress Them up for Company. See the section which includes recipe for "Shrimp with Parmigiano Reggiano Grits and Tomatoes". The Wednesday Chef by Luisa Weiss is among my favorite blogs. Luisa was born in West Berlin and spent her childhood between Berlin and Boston. She started her award-winning food blog, The Wednesday Chef, in 2005, when she decided to cook her way through the stash of recipes she had been collecting over the years. She has worked as a cookbook editor in Paris and New York and now lives in Berlin with her husband, Max. Layout and writing is excellent and recipes are listed at Index of Recipes accessed July 29, 2012. Among my own favorites of Luisa's posted recipes is Joyce Goldstein's Sardinian Meatballs rom Italian Slow and Savory by Joyce Goldstein and Paolo Nobile Page 225. I already added this to my own collection. I like "Jeffrey Alford's and Naomi Duguid's Banana Coconut Bread" too. Actually I like everything I see on Luisa's blog and am eagerly awaiting her cookbook "My Berlin Kitchen: A Love Story (with Recipes)" which is due out in September 2012. Maine Food Life Style: Plating Up another blog as good as it gets. Great photos and layout plus excellent recipes from chefs in Maine. I did not find one recipe here which I did not love. Recipes here I want to make include: "Corn and Lobster Chowder with Crisp Bacon" from Hartstone Inn, Signature Maine Recipes from an Elegant Maine Inn by Michael Salmon and "Greek Capellini with Shrimp, Tomatoes, and Mint" excerpted from 5 Easy Steps to Healthy Cooking by Camilla V. Saulsbury. Drink Your Greens and Achieve Your Dreams! Blend It; Mend It by Jane of Albuquerque, New Mexico is all about the Vitamix. Good tips, good videos. I really like this one. Chefs The Best Kitchen Starts Here is a an on-line kitchen equipment store with recipes hidden away. Check out their All Recipes Index I found Cooks Illustrated recipe "Cook's Country Slow Cooker Pork Pot Roast" and I thought the "Chef Paul Kahan's Crispy Pork Chops Milanesa" looked really good. The also have videos. Go to their Video Recipe List. This is not really a blog, but a great professional site with lots of reliable recipes. Norah's Menus and Recipes is an excellent blog! Norah from Utah likes to avoid processed foods and looks for organic or local. I found Cooks Illustrated recipe "Crispy Pan Fried Pork Chops" here and much more. Great readable layout. No index, but look through the labels. I like to cook by Sara from Kamloops, British Columbia, Canada gets bad grades for layout with centered text and pale blue backgroundm but thank God for labels and hurrah for index Recipes from I like to cook Sara was the creator of the Weekend Cookbook Challenge. Cucina Testa Rossa - it doesn't get any better. Perfect layout, photos, recipes and more. Author Laura Pauli (bio) left a successful high tech job in the San Francisco area to study at The French Culinary Institute in New York. After graduating, she went to France and cooked her way from Paris to the Riviera. Laura's cookbook reviews include "The Fundamental Techniques of Classic Cuisine" by The French Culinary Institute which she describes as saving $40,000 because this book is in essence the first quarter of the FCI course. Laura compiled her email letters documenting her experience into a book My Keyboard for a Cutting Board ~ Adventures in a French Kitchen v1.0. Lisa's Kitchen by a veteran vegetarian from London, Ontario who for 22 years has been serving delicious culinary creations. There is an emphasis on spicy Indian dishes. A great blog with very complete recipe index. I liked her "Cornmeal Johnny Cake". KitchenEncounters blog by Melanie Preschutti, a cooking pro from Pennsylvania, looks really good! Melanie includes explanatory photos which, although not particularly beautiful, are very helpful. I already added her Johnny Cakes to my collection. Melanie got this recipe when she went to Vermont. Unfortunately this blog has no index, but there is a search. I searched for "yogurt" and one of the recipes that came up was "Silky Moroccan-Spiced Butternut Squash Soup". Next I searched for "chipotle" brought up "Bone Suckin' Salsa Chicken with Spiced Couscos" which looks like something I will want to make. Lessons from My Swedish Kitchen by Kiki and Suzanne, two friends who both grew up in Sweden. Nice format and also nice recipes like Swedish Meatballs and Cold Poached Salmon and also lots of fun facts about Swedish culture. Unfortunately, there is no useful index nor any search capability so for the most part you just have to scout around. But if you roam around their kitchen you will I am sure find lots of good stuff. FoodBarcelona by Steve Tallantyre, freelance writer from Newcastle, England who has lived in Barcelona since the late 90s with his Catalan wife. He promises that his blog will be many things: a guide to Barcelona restaurants, a look into the day-to-day realities of Catalan cooking, a diary, a beacon for food lovers, Layout, photos, and writing are all perfect. Recipes dah where are they? In the categories there are 5 listed under recipes. But when I went there the 2 recipes I examined had really good images of the stages of Catalan recipes but no ingredient list nor real directions. So, I would label FoodBarcelona as a food blog. Closet Cooking (cooking in a closet-sized kitchen) by Kevin immediately appealed to me because that is how I had to cook in Rome. Kudos for sure on this blog with its easy interface and nice photos and fantastic label selection, like 23 pesto recipes and 46 Thai. Kevin is from Toronto and borders on being a pro blogging since 2007. He does mention that he has a day job, but he spends 50+ hours maintaining his blog and attends food bloggers conferences. A bit heavy on ads for me, but I like Kevin's recipe selections so much that if all I had was his blog to cook from I would be very happy. I have not found one recipe here that I did not like. I definitely love the photo and recipe for "Pistachio Pesto on Penne". I signed up for Kevin's Facebook page. Like I said I am really impressed. Kolarsky Family recipes http://www.kolarsky.com/family/cooking/cooking.htm - not exactly a blog but quite a nice selection of recipes. I liked the "Pesto alla Genovese" which includes instructions plus the history of pesto. I added some of this to my own pesto page. With a Glass by Sissi who has lived for a number of years in the French-speaking part of Switzerland is yet another really good blog. How about "Pesto with Almonds (Pesto alle mandorle)"? Zsuzsa is in the Kitchen by Zsuzsa consists of traditional Hungarian cuisine merged with multicultural Canadian home cooking, Take a look at her recipe for "Cabbage Rolls". la Tartine Gourmande by Béa (Béatrice), a food writer, stylist, photographer and author of La Tartine Gourmande: Recipes for an Inspired Life published 2012. Obsessed with beautiful foods and a lover of nature and the outdoors, Béa is originally from the countryside in northeastern France. Before moving to Boston she lived in New Zealand. Pretty pictures, but hard to find the recipes. I lost patience trying to navigate here. HomeMadeS again like Tartine above, pretty pictures. Poor navigation. No patience from me. Chocolate and Zucchini by Clotilde Dusoulier, a 31-year-old Parisian woman from Montmartre and shares her passion for all things food-related, has been posting her recipe ideas, cooking inspiration, and more. She started her blog in San Francisco in 2003; Clotilde has since published a much acclaimed book. Great photos. Navigation AWFUL. I had difficulty locating recipes. Was manoevered out by links to her book and lots of photos. Alone and Unobserved by Sean, a librarian, has great recipes like "Pesto alla Calabrese con Peperoni e Melanzane Arrostiti (Roasted Red Pepper/Eggplant Pesto)"
Baking Bites by Nicole Weston, a pastry chef, food writer and recipe developer based in Los Angeles, California is good, very very good. Nicole also has a BA in Linguistics from UC Berkeley and holds a certificate in professional pastry from the New School of Cooking in Los Angeles. The first thing that came up when I clicked on this Baking Bites url was Lemon Lime Cupcakes. I am not much into dessert recipes but they looked so good I added them to my own cupcakes collection. Anything with freshly grated zest is always a keeper for me. This is a very sophisticated blog with excellent photos and text and thousands of posts. I won't linger too long because there are just too many desserts. But if I need a dessert recipe I will head right back here. Alpineberry by Mary from San Francisco who explains that the alpine strawberry (Fragaria vesca) is a cousin of the wild strawberry. It's sometimes simply referred to as alpineberry. Mary loves to bake, cook and garden. Her recipes are desserts. Lots of them. I noticed a recipe for Chocolate Mint Cookies and I found most interesting her comments about beer desserts. "Stout Coffee Cake with Pecan and Caraway Streusel" from Bay Area Blue Bottle in San Francisco. It is meant to be served with coffee. However I would eat it with a Guiness. Cook and Eat by accomplished food photographer, writer, and home cook Lara Ferroni from Seattle is a first class food blog with excellent layout, recipes, text and of course perfect photos. A big problem is there is no index. You have to decide by looking at the thumbnails of the dishes. So this is a blog for when you have time to peruse. Seven Spoons by Tara from southern Ontario, Canada. Tara is a pro. A food writer, with multiple prestigious awards, for her blog which she started in May 2005, has posted hundred of good recipes. See Tara's recipe index. Her invention "Linguine with crab and artichokes" seemed unique, alluring, and fast to make. Tara's writing is so good. She draws you in. See her entry on "Maya's No-No Nanaimo Bars". You will want to head up to the Niagara region and you will want to make those cookies too. Half the fun is reading all the comments. The Smiling Stomach from The Lamar Ledger in Lamar, Colorado has nice very readable layout, Not too much for me in recipes. I found interesting "Garlic and Sun-Dried Tomato Hummus" and "Tropical Inspired Spicy Shrimp" served with a papaya salsa and rice. I especially like "Chicken Enchiladas with Salsa Verde" which I want to add to my own collection. Soup & Bread takes place in Chicago at the Hideout, a bar and music venue at 1354 West Wabansia Street [Map]. Each week chefs, caterers, musicians, writers, artists, and home cooks donate pots of homemade soup which, along with fresh bread donated by local bakeries, is served to everyone who comes. The meal is served until the pots run dry or the late-night jazz guys kick them out for free, but you can put a dollar, or two, or more into the donation bucket. The money then helps get food to people who are truly in need. If you are not in Chicago you can still help by purchasing the Soup & Bread Cookbook: Building Community One Pot at a Time by Martha Bayne. This award-winning cookbook is also available in public libraries, regular bookstores and on-line e.g. Amazon.com. I want to order it direct so presumably this worthy charity will make more profit. Layout fine. I enjoyed watching the film. Some recipes are featured on the the front page and there may be more hidden. I have really enjoyed wandering around this site. See Hideout's site too. A Year of Slow Cooking from Stephanie O'Dea. Too many ads for me. Ok layout. What saves this blog for me is that it is well indexed! Check out Slow Cooking Recipes by Title A-Z and Slow Cooking Recipes by Category. Once Upon a Plate Recipes is by Mari who hails from the northwest and has been posting since 2007. Mari has good recipes with some great photos especially enlarged. I was happy to find a Julia Child recipe for "Rice Soubise" similar to Dorothy Rankin's Pesto Soubise. I was also delighted to find "Lahmahjoon (Armenian-style Pizza)" complete with a gorgeous photo. Irritations on Mari's blog include what to me was difficult navigation. Mari's original Once Upon a Plate site at http://www.onceuponaplate1.com/ is quite cumbersome and when I went to a link, for some unknown reason, I ended up mid-page and had to manually scoot up to find what I was looking for. One other thing. Mari posts a severe "copyright" about downloading even for your own personal use! C'mon Mari. You put your stuff totally unprotected on the net. Even if you make an attempt to protect it, people can still get it. If you don't want your stuff used, take it down and keep it on your hard drive and hope that some sleaze in China or Russia has not already downloaded your whole site and is charging an access fee. Chefinspiration by Alexandra. I definitely like what Alexandra posts. Unfortunately it will take research to see who she is because she has not posted a bio. She appears to cook for a living and she does a really nice job with layout, photos, and interesting text. Check out her section on Celebrity Chefs. Really good stuff. Amah's Sambal Udang Petai which is similar to one by Carol Selva Rajah. Take One Cookbook by Wendy Stengel (and others) Wendy shares a love for cookbooks, especially old, regional, and quirky, by choosing one cookbook a week and posting one recipe a day. I discovered Wendy's posts while I was looking for digital copies from one of my favorite cookbooks The Great Book of Salsas. Wendy delivered and then some. No index and very few photos, but this group blog has great format and content. There's a Newf in My Soup by Denise and John from Coronado, California. Great layout and recipes and absolutely gorgeous photos. The authors are pro photographers. They also cook. Unfortunately no index and lousy sorting by category, but Denise has posted some recipes by Mark Miller. For that alone, go here! Washington Post writer Renee Schettler's recommendations are all terrific blogs. I check them occasionally for content and to see if they are still active. Movable Feast www.movable-feast.com by Louisa Chu chef, journalist, and adventurer. Louisa has a degree from Le Cordon Bleu in Paris and See Louisa's impressive credentials. 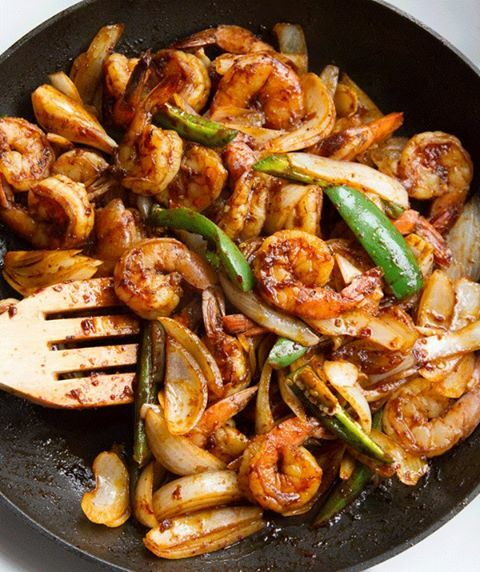 On her blog she gives a chronicle that captures seconds in the life of an aspiring chef, from deveining shrimp at 8:20 a.m. to typing in an apartment-door code at 11:50 at night. Her writing is impeccable, photos magnificent. I unfortunately am giving Louisa's food blog and F because, not only is there no recipe index, there are no recipes. At least I could not find them. Arthur Hungry www.arthurhungry.com - 20-year-old international relations student at Boston University who posts pictures of everything he eats. When Lee checked May 30, 2008, Arthur hadn't posted in a year and a half. His apology note says that full-time work is the reason. Arthur Che was born in Hong Kong but grew up in San Francisco. Really fun site. He likes Japanese and Italian cooking. When I checked again in June 2013, Arthur announced that he was done posting. He thanks all his followers and he is Yea Yea leaving his blog up for us to enjoy. Thank you Arthur. Your blog is great contribution to food blogs and we all know that all good things must come to an end. Pinoy Cook www.pinoycook.net - a Filipino mom's collection of updated traditional recipes. Lee loves this blog and added some of her recipes to the Ethnic section. See Lee's Filipino-American Cooking . The Food Section blog www.thefoodsection.com aspires to post "all the news that's fit to eat." Josh Friedland's blog is very informative, but be prepared for ads. His writing has appeared in the New York Times and the Washington Post. Kiplog's FoodBlog www.kiplog.com/food "Food blog is a blog about eating, drinking, shoving lenses into food, but mostly linking to food things on the web. There’s one author and photographer and it originates in Evanston IL, just outside of Chicago." Tasting Menu www.tastingmenu.com . by Hillel Cooperman, who works for Microsoft in Washington, is the first food blogger nominated for a prestigious James Beard Foundation journalism award. "What people lack in experience or formal training, they make up for with the fact that they love what they're doing," said Cooperman. "There are some days I don't feel like posting, but I feel an obligation to all those people visiting my blog every day." Made with Love http://mrsrodeba.blogspot.com/ is by Robin from Rhode Island. What no chowdahs? no quahogs? what kind of Rhode Islandah is this? When I checked out her seafood category entries I discovered Robin has never been fond of seafood?! She must be other than a native of the "Ocean State". Everyone in Rhode Island lives less than an hour from the ocean. Our fish, quahogs, lobsters and other seafood are to die for so come on Robin, start eating seafood! I did find nice recipes for "Brown Sugar Glazed Salmon" and the "Quick Garlic Mashed Potatoes" done in a pressure cooker category. A veritable celebration of the cuisine of South East Asia with a special emphasis on Thailand, Malaysia and Singapore by Steve Sorko, the passionate and humorous host of award winning Vancouver cable cooking show "Spicy Steve", has become one of my favorite chefs. His recipes are authentic, yet easy to follow. Here are his favorite links. However, Steve is one of my favorite links! Asian On-line Recipes.com A pan Asian recipe source. Asia Recipe.com An excellent source for Asian recipes, ingredients and cooking tips. Includes a great section on wok maintenance. Epicurius.com This magazinesÃƒÆ’Ã†â€™Ãƒâ€ Ã¢â‚¬â„¢ÃƒÆ’Ã¢â‚¬ ÃƒÂ¢Ã¢â€šÂ¬Ã¢â€žÂ¢ÃƒÆ’Ã†â€™ÃƒÂ¢Ã¢â€šÂ¬Ã…Â¡ÃƒÆ’Ã¢â‚¬Å¡Ãƒâ€šÃ‚Â¢ÃƒÆ’Ã†â€™Ãƒâ€ Ã¢â‚¬â„¢ÃƒÆ’Ã¢â‚¬Å¡Ãƒâ€šÃ‚Â¢ÃƒÆ’Ã†â€™Ãƒâ€šÃ‚Â¢ÃƒÆ’Ã‚Â¢ÃƒÂ¢Ã¢â€šÂ¬Ã…Â¡Ãƒâ€šÃ‚Â¬ÃƒÆ’Ã¢â‚¬Â¦Ãƒâ€šÃ‚Â¡ÃƒÆ’Ã†â€™ÃƒÂ¢Ã¢â€šÂ¬Ã…Â¡ÃƒÆ’Ã¢â‚¬Å¡Ãƒâ€šÃ‚Â¬ÃƒÆ’Ã†â€™Ãƒâ€ Ã¢â‚¬â„¢ÃƒÆ’Ã¢â‚¬Å¡Ãƒâ€šÃ‚Â¢ÃƒÆ’Ã†â€™Ãƒâ€šÃ‚Â¢ÃƒÆ’Ã‚Â¢ÃƒÂ¢Ã¢â€šÂ¬Ã…Â¡Ãƒâ€šÃ‚Â¬ÃƒÆ’Ã¢â‚¬Â¦Ãƒâ€šÃ‚Â¾ÃƒÆ’Ã†â€™ÃƒÂ¢Ã¢â€šÂ¬Ã…Â¡ÃƒÆ’Ã¢â‚¬Å¡Ãƒâ€šÃ‚Â¢ website is a very popular starting point for any recipe searches on the internet. Foraging With the "Wildman" Learn about edible and medicinal wild vegetables, herbs, greens, fruits, berries, nuts, seeds, and mushrooms with NYC's favorite naturalist, "Wildman" Steve Brill. Find out about his public Wild Food and Ecology tours in local parks, and the work he does with kids. Read excerpts from his books, enjoy his botanical artwork and vegetarian recipes, and find out what happened after he was arrested and handcuffed by undercover NYC park rangers for eating a dandelion in Central Park! Galanga.com A site offering recipes from Burma, Laos, Cambodia, Thailand and Vietnam. Khmerkromrecipes.com Cambodian recipes, culture and news. Makan Time In Singapore A very nice site created by homesick Singaporeans living overseas extolling the virtues of their cuisine for fellow Singaporean food lovers. Covers everything from ingredients, overseas restaurant reviews, and recipes, to where to eat and who sells the best "Chicken Rice" in Singapore. Vietnamese Recipes.com Over 750 Vietnamese recipes. What's Cookin, Chicago from Joelen (pronounced, Jo-Ellen) who describes herself as an avid food enthusiast "with a deep passion for cooking, baking, learning and sharing anything related to the culinary arts and culinary industry". Her blog was called intially "Joelen's Culinary Adventures". Joelen was pretty much born and raised in the kitchen, thanks to her parents who were caterers before they retired. Through them Joelen picked up the passion for cooking, baking and entertaining. As a result of helping them out in the kitchen throughout childhood and adolescence, cooking became second nature. Now as an adult, Joelen is intrigued by all things food related and loves sharing her "culinary adventures" both locally and virtually. Joelen's blog captures her adventures. Check out Joelen's recipe index. See Joelen's Recipe Index http://joelens.blogspot.com/2008/01/index-of-recipes.html and forget about all the clutter on the main page. and a cookie for dessert popular American type fare like burgers, pizza, muffins, "Oriental Beef and Noodles" and of course cookies from Brooke of New Jersey, a mother of triplets (one of which died). eatingclub.vancouver some interesting recipes on this discontinued blog. Ones I saw are "Mussels: Baked Tahong" a Phillipino specialty using frozen New Zealand green mussels which I culled for my mussel recipes and Chinese dishes like "Red-Braised Pork", "Dumplings", and "Noodles: Pancit Canton". Plus about 5 more mussels recipes like "Moules Frites / Mussels with Polenta". I discovered great photos of Turkey on this site too. I absolutely loved the recipes I found here. A Scientist in the Kitchen Sawadee kha from Gay of Phitsanulok, Thailand. Gay is passionate about science and cooking. Gay divides her recipes into Pasta and Noodles, Thai food, and Filipino food. She loves Italian so expect some Italian recipes in her pasta section. Adventures in Home Cooking by Angie, a 25-year old, married teacher, foodie, writer, and reader, who lives in Chicago. Recipes that caught my attention are "30 Minute Oriental Beef Bowl" from 29 Minutes to Dinner and "Pesto Chicken Thighs with Italian Cream Sauce"
Adventures in My Freezer by a young Canadian whose goal is Once a Month Cooking. She likes to do a lot of stuff which can be frozen. Very interesting technique which I like very much. Her "Whole Grain Waffles" and "Super-easy Crockpot Lemon Chicken and Baked Potatoes" both caught my eye. Sugared Whisk which used to be called "Amber's Delectable Delights" by Amber from Indiana has a short selection of recipes, mostly breads and desserts. Check out the Recipe Index. Amy's Cooking Creations Recipes and adventures from a beginner cook includes recipes for Homemade White Sauce, Guy Fiere's Crab Burgers and Better Homes and Garden's Pancakes and much more. Annie's Eats by a young physician, busy mom from Indianapolis, Indiana. Annie is a self-taught cook and photographer. Surprising unhealthy recipes from a physician! APPLE A DAY from a teacher comes a blog with interesting recipes, many of them mediterranean and some exotic, like Filipino-Inspired Mango Shake no index of recipes. You just have to scout around. Apple Pie, Patis, and Pâté by Jude, an immigrant from the Philippines who lives in Chicago. Super cool blog with great recipes from just everywhere. Jude loves to cook and every recipe has excellent explanatory text with photos so I enjoy browsing through his posts so much that downloaded his recipe list! Here is Jude's recipe index. Apples & Oranges by a a New York-based wedding photographer. For me, the best part of this blog is the really fantastic photographs. I liked the recipe for "Simple Blueberry Buttermilk Pancakes"
Bakingblonde's Weblog a real blonde mom blogs almost exclusively about sweets and the occasional snack. Her savory favorites are external links. A recipe I liked was "Thai Chicken with Cashews" from Gourmet, May 2007 at http://www.epicurious.com/recipes/food/views/Chicken-and-Cashew-Stir-Fry-238402 Most are pretty fattening. I suspect our Bakingblonde's blog is overweight. Beantown Baker - Adventures in a Boston kitchen by Jen from Cincinatti, an engineer by day who loves to bake. She and her husband are very happy living in their Boston condo with remodeled kitchen. I enjoyed perusing her Pumkin section http://www.beantownbaker.com/search/label/Pumpkin and Vegetarian too, but nothing blew me away. Just too ho hum mid-American-type food, like garlic hummus with raw vegetables. But still well worth a visit. Just for the stories. Bella Lately nice recipes such as "Oven Roasted Cauliflower with Parmesan, Lemon & Garlic", "Brandied Apple Butter", and "Potatoes Roasted with Shallot, Garlic and Rosemary". Unfortunately text is hard to read on awful black background. Bella's Bistro by Jordan, Jordan. I’m a 27-year-old culinary student who lives in Connecticut Very appealing recipes, sweet stories and excellent food photos. Never saw anything like "Fried Soft Boiled Eggs". That is one recipe I want to try! Then there is "Cumin Crusted Pork Tacos". Belly Bytes is a One-Stop Nutrition Resource Belly Bytes consists of nutrition information on fast foods, brand-name foods, and natural foods that are healthy for your belly and beneficial to your overall wellness! They are broken them down alphabetically, first by brand name foods, then by foods for general healthy eating. Also is included a section Belly Busters, which lists the brand name foods we suggest you avoid. See the Recipe Index. Includes 6 recipes for couscous. Better than takeout by a young Canadian mom who gives us recipes which have been tested on a toddler! So I am not very excited by the food. What I did enjoy was her photos of Nova Scotia. Bitchin' Kitchin by Ellie Delancey from Hoboken, New Jersey, has posted nice recipes on a good clear layout with good informative images. Three Square by Nicole has replaced Big City Cooking. Nicole works in Corporate America and runs a catering business at night plus she is a new mother. Nicole is very busy. Bite This! by Kira Cronin was started in 2008 to share her recipes. Her posts about coupon clipping do not interest me at all because I rarely buy anything that would have a coupon. I sure wish she would change the frustrating chocolate background on the recipe index. Most of her recipes are too fattening for my taste and most are mirrored from other sources to which Kira thoughtfully links back. I was delighted to find a recipe for "Broccoli Cheddar Soup" I loved this soup at Au Bon Pain before they deleted it from the menu Interesting to track that Kira got this soup recipe via Smells Like Home ADS, Annie's Eats ADS, I like the fact that Kira does all her own photography. Stolen pro photos always look better but blogging is more fun and real when bloggers do their own. Brown Eyed Baker - A Food & Cooking Blog Michelle, the Brown Eyed Baker Italian-American girl from Pittsburgh, is right up front with it when she subtitles her blog as "sweet, savory, sinful". Michelle's huge collection consists overwhelmingly of sugary and / or fattening recipes which I will never make. Hey it does not get more decadent than "Guinness Chocolate Cake with Baileys Irish Cream Cheese Frosting". One recipe which caught my fancy was "Pasta Carbonara Florentine" which Michelle got from Cooking Light and I immediately added the Grilled Fish Tacos to my make real soon list. See recipes by category at Michelle's Recipe Archives or the whole list at Michelle's Recipe Index. Michelle also has a neat Tutorial section. Burnt Lumpia by Marvin, a Filipino-American, born and raised on the gritty streets of Los Angeles, who as an adult is a restauranteur, cook, and author. Lots of Filipino recipes here. Marvin's blog is GREAT and I just can't wait to delve more into it. Check out his Filipino Food Recipe Archive. Cara's Cravings: My Life in the Kitchen - healthy recipes such as "High Fiber, High Protein Pumpkin Pancakes ", "Black Bean Tortilla Casserole", "Thai Peanut Turkey Burgers", and "Moroccan Chicken with Chickpeas, Dates and Raisins". See Cara's recipe index. A real highlight for me on Cara's blog is Orange-Soy Chicken and Brussels Sprouts Skillet. I love anything pictured in cast iron. Carrie's Sweet Life by a young Minneapolis/St. Paul mom presents "simple, comforting, down home food". Cassie's Ruminations by an engineer who works in Everett, Washington, this blog is health-oriented, most specifically Weight-Watchers. Carrie successfully loses over 78 pounds! For her recipes, check out her Yearly Goals. Wow! This is blogging at its most pragmatic! Central Cooking is where Kayla from Indiana posts mid-America recipes. I did not find anything here for me. Chi-town Cooking Creations by a newlywed who lives and works in Chicago. She gets most of her ideas "from magazines, The Food Network or other blogs" and her husband Joe loves 99% of what she makes, "especially if it's stuffed with cheese or wrapped in bacon" This means I will not find many recipes here. I was attracted to a photo of "Penne with arugula and pistachio pesto" but alas no recipe. Chomping the Big Apple by Sarah who grew up in a town of 150 people in Kansas and now lives in New York. Great looking recipes and photos. Sarah cooks New York so you know it is going to be good. Sorry Kansas (unless it is barbecue). And there is at least one bbq recipe, albeit guzzied up "BBQ Beef Brisket, Bok Choy Cole Slaw, Lime-Basil Potato Salad". Sounds good. I'll be back. Confections of a Foodie Bride from a young newly married couple. Lots of sweets. Cook Like a Champion by Courtney from Virginia. American stuff. No index as such. You have to negotiate pictures of categories. Not very practical. I found Pumpkin Ice Cream in the pumpkin category. I liked that but did not have the patience to wander this site much longer. 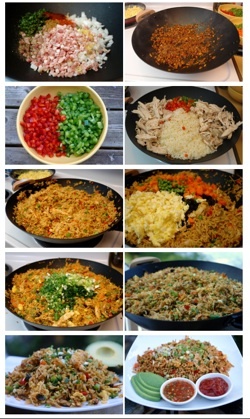 Cooking This and That by an unknown author who promises "Simple side dishes. Elaborate dinner parties. Decadent desserts. And everything in between!" Site is a bit hard to get to know because there is no recipe index. Crazy Delicious Food by Nikki who is a really good photographer. You are on your own for navigating because there is no index. Crista's Kitchen Creations There may be good stuff here but I was unable to tolerate the white text on black background paired with Dean Martin singing That's Amore. Jeez, Crista, how about the option to turn off the audio? Culinary Bliss by an Iowa girl who blogs about the food she cooks at her home in the Heartland. Alicia loves "local foods, gardening, and preserving". Above and beyond recipes Alicia shares some of her thoughts about local Iowa farmers. See post Iowa Corn Tour. As for recipes, I migrated towards the ones about corn and was pleasantly rewarded with unique and very appealing choices: "Chili and Cornbread in a Jar", "Homemade Baked Chili Lime Tortilla Chips", and "Baked Eggs! and First Fall Chili, with Roasted Hot Pepper Cornbread". Alicia likes Heidi Swanson and she uses cast iron cookware. For me a blog does not get any better than this. Real American cooking. Culinary Concoctions by Peabody, a young, hocky-playing, divorcee who lives north of Seattle and has been blogging since 2004. Peabody's recipe index reflects her love of sweets and fattening fare. I did not find one recipe for me. Culinary Infatuation from Ally of Atlanta, Georgia. My sense is that this blog is going to have good stuff. Ally describes her "Oven Fried Chicken Milanese" as "so good! Unlike other Oven "fried" chicken recipes that have mushy breading, this kept its crunch and was just plain delicious. Culinary Kicks from Rachel of Meza, Arizona, a stay at home mom who enjoys cooking. I wandered about and it was fine, but I moved on. Delicious Meliscious - a cooking blog by Melissa all I found here for me was "Iced Pumpkin Cookies". Delish by Ashley, young wife and self-taught home cook. who started blogging about food in November 2006. IÃƒÆ’Ã†â€™Ãƒâ€ Ã¢â‚¬â„¢ÃƒÆ’Ã¢â‚¬ ÃƒÂ¢Ã¢â€šÂ¬Ã¢â€žÂ¢ÃƒÆ’Ã†â€™ÃƒÂ¢Ã¢â€šÂ¬Ã…Â¡ÃƒÆ’Ã¢â‚¬Å¡Ãƒâ€šÃ‚Â¢ÃƒÆ’Ã†â€™Ãƒâ€ Ã¢â‚¬â„¢ÃƒÆ’Ã¢â‚¬Å¡Ãƒâ€šÃ‚Â¢ÃƒÆ’Ã†â€™Ãƒâ€šÃ‚Â¢ÃƒÆ’Ã‚Â¢ÃƒÂ¢Ã¢â€šÂ¬Ã…Â¡Ãƒâ€šÃ‚Â¬ÃƒÆ’Ã¢â‚¬Â¦Ãƒâ€šÃ‚Â¡ÃƒÆ’Ã†â€™ÃƒÂ¢Ã¢â€šÂ¬Ã…Â¡ÃƒÆ’Ã¢â‚¬Å¡Ãƒâ€šÃ‚Â¬ÃƒÆ’Ã†â€™Ãƒâ€ Ã¢â‚¬â„¢ÃƒÆ’Ã¢â‚¬Å¡Ãƒâ€šÃ‚Â¢ÃƒÆ’Ã†â€™Ãƒâ€šÃ‚Â¢ÃƒÆ’Ã‚Â¢ÃƒÂ¢Ã¢â€šÂ¬Ã…Â¡Ãƒâ€šÃ‚Â¬ÃƒÆ’Ã¢â‚¬Â¦Ãƒâ€šÃ‚Â¾ÃƒÆ’Ã†â€™ÃƒÂ¢Ã¢â€šÂ¬Ã…Â¡ÃƒÆ’Ã¢â‚¬Å¡Ãƒâ€šÃ‚Â¢m a self-taught home cook who aspires to live a healthier life through all natural and organic cooking. Ashley was born and raised Texan so she grew up on good Tex-Mex and southern food. Her mom is Chinese, so of course she loves real home-style Chinese food. This will be a blog I will like. Check out Ashley's Recipe Index. I would like to make Chinese Scallion Pancakes. Dhanggit's Kitchen by Hilda, also known as Dhang or Dhanggit, who is Filipino-French. She lives in beautiful sunny Southern France. You just know this is going to be good. How about French Chicken Casserole (Poulet Basquaise)? For more, see Dhanggit's recipe list. She has pretty photos of France too. Dinner and Dessert by Erin Busch, a South Carolina seventh grade history teacher. Standard American-type fare. Lots of desserts. Nice photo. No recipe index. Dinner Delish by Ashley Trowbridge, a mid-western girl. Standard American-type fare presented with white text on green background. No index. Dinner With the Bickfords by Jamie, a newlywed on a budget. Though she works 3 jobs, she still manages to cook a full dinner 6 nights a week. Quite a feat! Jamie constantly looks for new recipes that are moderately healthy, taste great, and won't break the bank. I headed for Jamie's Asian section where I discovered "Pakistani Kima - beef curry". Dish it up American-type fare from an exhausted, hard-working young teacher with a picky husband. Desserts, creamy baked pastas, etc. This blogger worries somewhat about her weight which seems inevitable in view of her recipes. So much sugar and fat. One recipe I liked was "Buttermilk Corn Bread" baked in her late grandmother's cast iron skillet. The photograph looks so homey. Dog Hill Kitchen by a northern Michigan stay at home mom who cooks REAL food from scratch. Latest focus is the primal/paleo diet. Her dad was a good cook and both her mother and grandmother used to make the best Slovak comfort food. I liked "Smoked Paprika Turnips and Kale (with an egg)" cooked up in the cast iron skillet. Elizabeth's Cooking Experiments Burgers, Sandwiches, and Other Quick Goodies from a young St Paul, Minnesota attorney who is an only child who loves cats. Elizabeth has posted lots of recipes. I headed for her family section and discovered her grandma's Cabbage and Meatball Soup plus Swedish Meatballs, a Minnesota Swedish-American version. Now that's what I love to find on a food blog! Elizabeth's Edible absolutely gorgeous big photos. No recipe index (groan) and I could not find much about the author except that she is from New Orleans which means delicieux, so I will be back here for sure. The first thing I will head for is Salmon Croquettes. Let the good times roll alors. elly says opa! by a young Greek-American mom from Chicago. Lots of Greek recipes in Elly's recipe index where I looked for and found a real favorite, Moussaka. Elly blogs also about her pantry, equipment and cookbooks. Love it. Equal Opportunity Kitchen co-authored by a Canadian mother-daughter pair, Giz (Gizmar) and Psychgrad. Great photos, plus knitting and travel. Recipes include a fair amount of ethnic: Jewish, Sri Lanka, Vietnam, Morocco, and French Canadian. I headed right for Tourtiere which I immediately put at the top of my make soon list. Then there is the section on maple sugar. Erica's Kitchen Adventures young married girl from Pittsburgh blogs about meal planning. She started her blog to store her recipes and also to get out of boring meals rut. No recipe index. Groan. Recipes I saw did not entice me. I did like "Pumpkin-Maple Granola" which actually originates from another blog. Here is the original recipe which is better "Pink Parsley's Pumpkin-Maple Granola". Erin's Food Files by a television editor who was born on a Kentucky farm, but now lives in Nashville, Tennessee. Like me, Erin likes pumpkin and in her Tennessee category I found "Turkey Bean Pumpkin Chili" - sort of healthy. There will be a lot more on this blog. For fun, take a look at the Halloween costume 4-year old Erin wore. It's at the bottom of her About Page. Everything but the Kitchen Sink by Kristi-Leigh has lovely photos of snow in Virginia. But we are here for the food. And I did not find it. Just a few ho hum recipes that did not catch my fancy. Kristi-Leigh's blog will be deleted my next time round. Family, Friends and Food is commercial; does not seem to have original material; does accept compensation for posts; will be deleted from this list. Feeding the Fire(men) by Kerry, a stay-at-home mom. I did not find recipes of note here. Typical American ho hum. Cook, Pray, Love aka Food alla Puttanesca by Kira, formerly from Houston, Texas, now from Nashville, Tennessee a deacon, is a in the Episcopal Church. She enjoys running, hiking, Southern culture and food, live music, documentaries, wine, craft beer, bourbon, local fruits and vegetables, and ethnic food, particularly Indian, Vietnamese, and Ethiopian. Kira and her husband Joe are both trained musicians. All of that plus taking care of two cats must mean not much time for blogging. Kira has posted quite a few recipes under the pumpkin category. I did not find anything remarkable here. Fresh from Cate's Kitchen by Cate, a working mom (middle school science / PE teacher) in Daly City, California, who, with her husband Mike spent 2009 traveling and teaching English in Asia. She cooks Asian and vegetarian. See her index. "Black Bean Burgers with Avocado Sauce" are perfect if you do not want to leave out your vegetarian / vegan friends at your cookouts. From the French Kitchen by unknown runner, scrapbooker, beach lover, hiker from Greenville, South Carolina. No index. You have to pour through the entries. And I did not see any French dishes. Merde alors! Add to my delete list. gaga in the kitchen by an unnamed mother of 2 little kiddies. Too much italics and text could be bigger, but thank God for a white background. No index, but I browsed the categories and enjoyed her "healthier alternatives" section. Gillian's Goodies by a teacher in San Diego. A vegetarian her posts are mostly from cookbooks, magazines, and friends. Gimpy's Kitchen by Paula from Blaine, Minnesota. No index. No categories, you have to browse the posts! But I will be back here because I see the names of Dorie Greenspan and Michel Richard. Paula makes reference to "Daring Bakers Challenge" which I believe is going to lead to some good things. See article "On These Blogs, Bakers Can Find Their Fix" by Nick Malgieri in The Washington Post, Wednesday, April 2, 2008, plus About the Daring Kitchen and you will understand why I will be following up on this. Good Things Catered - Easy Recipes by an unknown blogger consists of 2 easy recipes but they sure are hard to read with the white text on the ghoulish black background. Both recipes "Spicy Thai-Style snapper - Easy Recipe" and "Thai Chicken Lettuce - easy receipe" appealed to me so much that I am going to copy them for myself. Good Thymes & Good Food See her recipe index. I can do that! by Oggi, a homemaker, from Ashburn, Virginia. Nice layout, nice photos, with a long recipe list which features a lot of Filipino recipes. includes an adaptation of Gordon Ramsay's Shepherd's Pie with beef. Oggi posts the link to a Filipino cooking club, Kulinarya. We Got Fed from Erin Kristine, a young mom, who lives in St. Paul, Minnesota. Decent photos. No index, you have to browse the categories. Nothing grabbed me here. Standard American type stuff. It's Melissa's Kitchen by a die-hard Californian. Decent photos. No index, you have to browse the categories. Layout lacks imagination, but by God, it is easy to read and there are no ghastly ads. For the most part standard American type eats. I liked Melissa's post of Ellie Krieger's "Broccoli & Cheddar Stuffed Potato Skins with Avocado Cream". Jenn and Food, Perfect Together by a married girl from Central New Jersey. Busy but readable layout. No index, you have to browse the categories. I explored the pasta category and thougt there was a glut of creamy-type pastas. When I came to a Pasta Salad, thought mayonnaise on cold pasta and I was out of there. Jewels in the Kitchen by Julie who describes herself as a simple southern girl who loves to cook and loves being a wife. She claims that all of her recipes are simple and fast to make. No index, you have to browse the categories. "Caribbean Spiced Ribs" sounded good to me. Her "BBQ Pork" done in a crockpot with Hormel Mesquite BBQ pre-seasoned pork tenderloin and a bottle Kraft Thick and Spicy BBQ sauce sure seemed simple enough. The Stepford Kitchen: fantastic dishes from the kitchen of Joanna Eberhart by Marie, who lives in the Midwest, has a small baking business called Stepford Sweets. Site has unappealing layout, so so photos, and too many sweets for me. Julie's Foodie by a systems engineer with a love for cooking. Decent layout and photos. No index, browse the categories. I liked Julie's "Garden Fresh: Marinara Sauce" made with fresh tomatoes. Just a Foodie by a gal from San Francisco, California, who started blogging to share her grandmother's and her own original recipes with family and friends. This is my kind of blog! Simple layout, decent photos, clear instructions which includes extra photos. No index, browse the categories. I browsed her pasta category and found "Rapini Anchovy Pasta". She gardens too. Check out her Urban Potager. She has also posted links about her spices and cookbooks. I will be back here for sure. Just2Good by Amy, born in Chicago, but lives in Florida. Simple layout, decent photos. No index, browse the categories. I liked what I found in Amy's lemon category, especially the Cook’s Illustrated "Lemon Bars" - I make these and believe me they are good. Amy has posted Cook’s Illustrated recipe for "Classic Mac and Cheese". Justice Is Served by Emily, known as the legal foodie, a Chicago attorney who is seriously considering going to culinary school once her "obscene law school loans are paid off". She adds that it is entirely possible that she will be 65 and retired by that point. She describes herself as "a wife, attorney, friend, avid reader, social chair, oenophile (i.e. a lover of wine), world traveler, party patrol, shoe whore, culinary master, lover of all things Italian, entertainer, wedding planner, fashionista, sushi consumer, messy yet mildly OCD, happy, family-oriented, and really, really ridiculously good-looking". I would add good blog writer. Simple easy to read layout and witty text. You negotiate in this blog with the labels, such as All Arise (breads and muffins), Behind Bars (cocktails), Case of First Impression (new recipe), Closing Arguments (desserts), etc. Recipes are accompanied by anecdotes about the cook's day in the courtroom. I can't wait to go back to legal foodie's amusing blog. Kaitlyn in the Kitchen in Renton, Washington posts a personal blog with appealing layout and good photos, but for the most part I did not find many recipes there to my liking. She does post some King Arthur recipes, including their "Quick and Easy Foccacia" which we already know about and have made often. Tote's Life by Katie, a young mother, has overwelmed her food blog with childbirth/baby banter. If, like me, you are in it for the recipes, explore the labels. I found interesting recipes (mirrored with credits from other sites) under the Katie's Asian label. I enjoyed the personal comments she adds to the recipes she has tried. Katie's Kitchen by a dietetics major from Michigan State University. I despise the small white text on teal, but Katie has posted some recipes that i like, for example "Hoisin Pork Roast" and "Black Bean & Mushroom Burgers". Kayte's Kitchen is where you will find an explanation of the difference between Shepherd's Pie and Cottage Pie. Text is readable on a light yellow uncluttered background. I found a number of recipes which caught my eye: "Not so Spicy Honey-Brushed Chicken", This is a fun blog to explore with its personal recipe notes and photos. Kelly B Well combines Kelly's fitness blog started in January of 2010 with her food blog "Kelly Cooks and Other Amazing Feats". Kelly is determined to lose weight so there is a lot on her blog about her weight problem. I fear that many of her recipes, like "Italian Sausage Sandwiches", are fattening. There is an index, but it does not display the whole thing on one page. Nice readable layout on an uncluttered white background. I liked "Shirley’s Crab Cake". Kickin It in the Kitch by Stef, a married woman in her 20's from Ohio who loves cooking, baking, and attempting to be domestic. Good readable layout with white background. However, rather huge apple pie header picture forces the user to scroll down for every recipe. Not good. No index, you are stuck browsing labels. I liked "Iced Pumpkin Cookies" and I really liked her post of "Asian Dumplings" reprinted from Everyday Chinese Cooking: Quick and Delicious Recipes from the Leann Chin Restaurants and I will add that to my Asian collection. Kim's Kitchen author from Atlanta, Georgia has planted her blog on an appealing background, although I would get rid of the worthless traffic feed gadget. No index. You have to browse. The first recipe I saw was these delicious healthy "Blueberry Oatmeal Pancakes". However, there is a lot here which is unhealthy sugary. I should not have, but I found "White Chocolate Chip Macadamia Cookies". Linking does not make you fat, even making is ok. It is the eating you have to avoid. Kitchen Canister by Melissa, a New Jersey tax accountant, who lives near Philadelphia, is best avoided. I was immediately turned off by the entry page's ad with rather lengthy plug for Dominoes Pizza. Next I was totally appalled to see Melissa's Kitchen Canister Original for "Crockpot Beef TENDERLOIN". That has got to be the most expensive crockpot recipe of all time! 3 lb beef tenderloin $$$ cooked away for 8 hours! Finally, one of her photos is identified as Linguini with Clams, but the bi-valves are definitely mussels. No index. Browse the labels - at your own risk. This one blog I'd prefer with navy text on black background. I hope Melissa is better at numbers than she is with cooking. Lauren's Kitchen by a young mom, inspired by Rachel Ray, enjoys cooking, photography and blogging. Layout is fine with white background, but choice of fancy all caps text is tiring to read. Lauren is very careful about fully crediting her recipes and she has documented her 3 failures. Of course one of the disasters is Gnocchi, not an easy thing to make. I found it fun wandering around Lauren's site and will go back for more. I liked the fresh Cranberry Pomegranate Sauce. Le Petit Pierogi from Kristen, mother of twins, who makes her own baby food. Decent layout. No Index, you have to browse the categories: 1 Asian, 28 Cakes and 38 Chocolate, so there may not be much here for me. I looked through the 44 Healthy items. Most are but some are a stretch. Mujadrah, Middle Eastern soup of lentils, brown rice, caramelized onions, caught my eye. Lemonbasil Allison Jones has ceased updating her blog about "living and eating sustainably, creatively, and deliciously" in Portland, Oregon. Good recipes, reviews, and revelations. Wonderful engaging photos. Good layout. You can catch the new Allison as Contributing Food Editor at Portland Monthly Magazine, managing the web content of their food section, Eat Beat. I personally prefer wandering around her blog where I find gems like "Happy Birthday Muffins" made with 100% whole wheat flour, organic multi-grain hot cereal blend and yogurt. We are talking healthy here. The recipe for Sweet Carrot Soup with Basil, Goat Cheese, and Capers which was adapted from Leanne Kelley's Blue Eggs and Yellow Tomatoes is one I have to steal. Thank you Lauren for leaving your blog up. I'll be back. Life, Lightly Salted by Michele from Cleveland Ohio, an aging punk rock princess who refuses to grow up, now lives on the Jersey Shore. Michele has been creating in the kitchen since she was tall enough to hold on to her Grandmother’s apron strings and blogs about using quality ingredients in new creative ways. Easy to read but ugly punk rock layout. No index nor division into categories, but Michele's original interesting writing style and her pretty good photos and nice recipes will draw me back. I liked her page on "Cabbage Rolls". Lime In The Coconut by Lisa, newlywed, wannabe gourmet, ok dancer, backseat driver, card player, wine drinker, margarita maker, chain blinger, expert shopper, crazy cat lady, spicy Italian gal. and occasional runner. Decent layout. Lots of nice photos and recipes. Lisa tells stories about her recipes and she credits the source. Here are a couple of good ones "Tagliatelle with Chicken from the Venetian Ghetto" and "Italian Wedding Soup". I love Lisa's post on Authentic Thai Cooking with Rasamee where she gets recipes from her mom's friend Rasamee. Ras is from Thailand and makes some of the most delicious Thai food Lisa has ever tasted. Ras generously prepared each dish as Lisa watched, asked tons of questions and scribbled down notes all while snapping photos. Lisa gives us the recipes for Ras's Shrimp Pad Thai and Tom Kha Gai (Coconut Chicken Soup). Wow! Blogging at its best: personal, authentic, original. Lindsey's Kitchen by Lindsey who is working towards her associates in Culinary Arts. She and her husband, Ben, live in Chicago. Good layout, but no index and a hard to read category list. I liked Lindsey's original recipe "Pumpkin Black Bean Quesadilla" which is in a cookbook. I know there will be a lot more hidden on this site so I will be back there. Little Miss Foodie Two Shoes by native Floridian Shauna whose main dishes tend to stay on the healthful side. She advises that if you are looking for dishes that are lower in calories and fat and made from fresh ingredients, you should be able to find quite a few things on her site. But she likes baking too. Here is a decadent recipe that caught my attention. "Chocolate Red Wine Cake" from Epicurious and Food & Wine looks so good. It is made with 1 1/4 cups red wine. Savory Spicy Sweet by Liz used to be called Liz's Cooking Blog. Very nice layout. Good photos. No index, but extensive list of categories. "Spicy Broccoli Stuffed Baked Potatoes" looks good indeed. Lovestoeat's Weblog by a newly wed who wants to make use of her wedding gifts. No index. You have to browse around. Good simple easy to read layout. Interesting recipes are accompanied by good photos. Here are some examples "Balsamic glazed chicken with pine nuts and scallions" and "Garlicky Green Beans" which I like because it is my friend Eva's recipe. Lynsey Lou's by a southern girl who loves homestyle cooking. The old url was Lynsey Lou's Place. She moved her site and now it has rather busy layout, cluttered with irritating ugly ads and some gimmicky stuff like giveaways for liking on FaceBook. Fair photos. But hurrah! for a white background and a Recipe Index where I found "Grilled Steak with Tapenade", "Pork Tenderloin with Balsamic Cranberry Sauce", and "Pumpkin Thai Soup". Macaroni and Cheesecake by Stephanie, a young married girl from beautiful Southeast Tennessee who is "passionate about Jesus, traveling, sports and food" whose selections consist of a lot of cupcakes and creamy high calorie American-type dishes: buffalo, dips, cream cheese. More desserts than food. ok layout with few ads. I fear I would have to head to weight watchers if I stayed here long, but I am sure Stephanie has some tasty recipes in her colletion. Made by Melissa by Melissa who lives in New Hampshire. Good readable text on white background layout. Recipe Index shows a lot of desserts. I did notice "BBQ Pulled Pork" in a crockpot which looked original and good. Made with Love by Jenn who announced that she was discontinuing her posts in March 2009. I amused myself in the crockpot section where I found something I had never seen before "Homemade Bread in the Crockpot". Note that making this bread is more complicated than this recipe shows. Be sure to google for more detailed instructions. Mary Ellen's Cooking Creations by a young mom from Pennsylvania who loves to do her own creations. Great simple easy to read layout. Nice photos. No index. Browse the categories. A lot of original recipes with personal notes. Mary Ellen has posted a couple of Polish recipes like her mom used to make. Healthy section has 40 recipes. I liked "Chicken and Edamame in an Orange-Ginger Sauce over Quinoa" I also marked this not-so-healthy pasta "Creamy Penne with Blue Cheese and Arugula"
Bev Cooks by a gorgeous gal from Kansas City has nice layout and tasty recipes geared on the healthy side. She writes with lots of funny banter and she has lots of fans. Great photos and lots of them. Bev documents her recipes with photos of every step. No recipe index, just categories. I found a lot I liked here, including "Asian Chicken Burgers" and "Creamy Penne with Blue Cheese, Arugula and Toasted Walnuts" and especially "Linguine with Kale and Tomatoes". Blazing Hot Wok by a Portland, Oregon mother, former scientist turned science educator and passionate family cook. Bev is half Thai so has posted a lot of Asian recipes. See Bev's Recipe Index. Good layout. I like this blog a lot. How about "Canning Harissa". I will be back to this blog a lot. Mary Ellen's Cooking Creations from a young mother in Pennsylvania. Most recipes are her own and it is a very nice selection. Check out Mary Ellen's Recipe Index. Meagan's Cooking Blog from a young married girl who lives in Mesquite, Texas. Readable layout. Good but grainy photos. Sure wish Meaghan would change the ugly chocolate and chartreuse colors. Milk & Honey by Chicagoan Erin McQuade McCoy, a graduate of University of Illinois at Urbana-Champaign, who lives in north western part of the state in Palestine, Illinois, describes herself as, the "Milkman's Wife". Could this be her husband "The Milkman" on YouTube? Unfortunately not because this milkman is Eric Burgess and Erin's milkman Eric L. McCoy. In any event Erin has posted a blog with good layout, lots of fun writing and a Recipe Index, which includes: "Julia Child's Beef Bourguigon" and "Homemade Italian Beef fromThe Paupered Chef". I will be back to Erin's blog. Missy's Mixing Bowl by Missy from Texas who forewarns you to "not expect anything fancy, just a simple place for her to scribble down some of her favorite or new recipes". And that is exactly what you will get. Ok very readable layout. No index, but you can check out the labels. Missy's photos are fair resolution, but document well what she is cooking. Missy has posted typical American fare. I did not find any recipe to feature. Mrs Sac's Purple Kitchen from Melissa, a young married girl who is originally a Canuck from Ontario, now living in Tennessee. Melissa has triplets! She also has a nice blog with good clear layout and good photos. I liked her recipe selection. No index, but categories. I got "Smokin' Potstickers" from her Asian section and "Downeast Maine Pumpkin Bread" and "Orange Banana-Nut Bread" and also her "Whole Wheat Pita Bread" from her Bread section. Must Love Chutney by a young lady who lives in the Dallas - Fort Worth area of Texas. Pleasing easy to read layout. Nice photos. ok writing needs some spellcheck. Navigation does not exist. It is really hard to find the recipes. No index. I tried browsing the categories, but they do not seem to match well and when I pulled down all posts from 2008 through 2011, I did not find headings that helped me find out what was there. Some I went to and there were no recipes. I found Indian-spiced Red Lentil Stew. I also liked the post for "Thai Noodles and Peanut Sauce". Strangely I did not find any chutney recipes. My Baking Heart by Jessica who takes good photos and has posted a nice blog, but with a garish layout on an overwhelming green busy background. Fancy light green text for titles sure makes it hard to see the recipes. Navigation is unpleasant. The ugly ads do not help. Irritating drag down categories - jeez how much time do I have? but if you explore you will like her photos and some of the recipes. I found a "Szechuan Beef Stir-Fry" but I did not have the patience to linger much longer. Was losing my way in a tangle of garbagy button ads. My kitchen nightmare very skimpy blog by IdgieMay. Very simple. Hardly any photos. I would not bother with this one. My Sweet Life... by Kelly, a newly wed from Tampa, Florida. Another garish layout on an overwhelming busy background which looks like 1920's wall paper. Yuk. All of that with centered white text on pale blue background. Ok I would give it a go and I saw some nice photos. I think there are some good recipes and stories hiding there, but I was getting a headache. My Vegetable Blog by Joanna Miller. A real gem of a blog. Good layout, writing, and photos. Check out her writing about Upper Peninsula aka UP, Michigan. Great recipes too. I really like "Smoky Red Lentil Soup". See Recipes and Reviews and More Recipes. My Yummy Goodness by Maci from Tennessee. Typical American type stuff like shells and blondies. I did not find any recipes I wanted to feature. Background to me is garish, sort of something you would see on a quilt, but text was very readable. Navigate with the categories. Nestie Potluck photos looked good but layout is a disaster. Unreadable. Perhaps author will fix. New Adventures in the Kitchen by Amanda who loves Knitting, Cooking, Baking, Horses, Theatre, and Singing. Very readable but no index. No categories. You just have to poke around. Nice photos. I liked "Garlic Brown Sugar Chicken" which is so fast, easy and popular that I decided to add it to my own collection. No Slivers Here seems like there are some good recipes here, but I find the text on pale yellow background tiresome to read. I will go back. "Chicken and Vegetable Curry" looked really good. I like the photos which are original and enlarge. Northwest Noshings by Peabody, a young married girl from Seattle, who loves food and plays hockey. Peabody has built a streamlined blog - I really liked that I could just click on the link and swoop down and see a nice line of good photos and recipes. Wow! So practical. I sure wish there were an index or at least categories, but it was ok. Finding recipes like "Roasted Poblano and Chicken Chowder" made up for it. One Bite At A Time by a young, married, budding journalist who posts a really nice food blog. No index, but categories. I like what I see for recipes,. Other than its bringing out my obsession to correct the html code so that ingredients would display single-spaced, I really like this blog. Enough original explanatory photos that it runs like a movie when I scoot down a recipe and really good healthy selection of recipes, like "Rosemary Garlic London Broil" and "Spicy Kafta With Yogurt Sauce". * "Deprecated: Assigning the return value of new by reference is deprecated in /home/jpaoixc/public_html/blog/wp-settings.php on line ___" appears in the header of Paoix's blog. Just ignore it. I lurk here as much as I can. Open The Oven & Take A Look by Enza from New Jersay is blogging, from what I can see, only desserts. Oralgasmic by Thais who grew up in southern Brazil and now lives in San Francisco. Our Sweet Life by Beth G. from Culver City, California. Nice recipes on layout which is too busy. No index; no categories. You have to explore. Sometime but not now. Paved with Good Intentions Nice recipes on decent layout. No index; no categories. I did some scouting but did not find anything new, unique, nor remarkable. Pennies on a Platter used to be http://penniesonaplatter.blogspot.com/ is now on a garish, pretty ugly layout. The first recipe that I saw Chocolate Chip Hot Cross Buns is not for me. No index; you have to look through the drop down categories. Groan. The overall purple color motif is driving me out fast. I tried. "Roman Chicken Pizza" looked like a possible stop. One saving grace is that this blog has good photos. Prescription for good food by a young Ohio pharmacist who enjoys cooking and good wine; easy to read, if not very pretty with its olive green background color. Appealing recipes like "Pasta with Goat Cheese and Roasted Asparagus" and "Thai Shrimp on Baby Greens". The Balanced Baker (formerly Proceed with Caution) by an unknown blogger has very nice, technically first class, images plus it is very easy to read and navigate. However there some glitches. Note that the recipe index does not work. You have to explore the labels. I have constructed my own Balanced Baker aka Proceed w/ Caution Recipe Index which links back to recipes old site (where there is no index). Meanwhile I spotted some recipes I liked: "Slow-Cooker Honey Sesame Chicken", "Creamy Pumpkin Penne", and "Pumpkin Ice Cream" "" ""
Reading, 'Riting and Recipes from Mollie who's trying to eat better food and live a better life. Good instructional photos and nice layout for seeing the recipes. Check out the labels. I liked what I saw in the Asian section especially the "Vegetarian Pot Stickers" and her post about "Learning to Love Brown Rice". Realistic Eats by anonymous has decent layout and lots of posts (21 Asia posts) with run-of-the-mill ordinary fare. I like "The Most Perfect Pad Thai" from Thai Table. Rediscovering the Joy of Cooking by a young Chicagoan living in Los Angeles who is a pediatric nurse practitioner. Rumbly Tumbly Treats by some unnamed girl who looks attractive but posts a Peanut Butter Cup Chocolate Cake recipe on a layout graced by one of those ugly garish layouts. No index. No categories. I scooted down the page to find even more disgusting cake recipes. If this blogger eats what she posts she will be getting very fat. ruth's kitchen experiments by Ruth Elkin, a young married youth and family worker from Northern Ireland, is an interesting personal blog with videos. Ruth is a fan of Nigella whom Laura P. pretty much dismisses. I am not that familiar with Nigella, but frankly I value Laura P.'s opinions who to follow on food. When scanning Ruth's categories, I did not see any Asian - not good for me. In the pasta section I found tasty (but fattening alas) "Creamy pasta with mushroom and bacon" and what really attracted me "Lasagne of Emilia Romagna" from The Splendid Table by Lynne Rossetto Kasper. Now that's the kind of post I like to see. Say Yes to Hoboken by Liz Stanley who was born and raised a New Yorker, plus a few newlywed years in charming Hoboken, I now live in the fairytale city of San Francisco with my husband and son. This blog is a collection of simple ideas for making your home and life more crafty and stylish. Not so much food, but great content, layout, and writing. Too many ads, esp. for deodorant ?! Savory Safari expeditions in the kitchen by a young attractive young married gal from the Ann Arbor area of Michigan who "prefers cooking to baking, so you will not find many desserts here". My kind of food blog! First thing I saw here was "Burmese Chicken Stir-fry" so I knew I would be around for a while. No index, but readily available categories to explore, like Asian (9 recipes), Southwestern/Mexican (6 recipes) including "Green Enchiladas with Roasted Chicken" - way to go! Great savory recipes on a simple easy to read and navigate layout. I will be back again and again. Kaitlin Cooks by Kaitlyn from Vancouver, B.C. who lives in beautiful Bend, Oregon, shares her original recipes, adapted recipes, wine reviews, and micro-beer reviews with family and friends from afar. Super layout and text and an index. I already added her "Moroccan Kefta" to my recipe db and how about "Fresh Vietnamese Spring Rolls"? Simple, but delicious. by Amy from Pennsylvania. Typical American fare ho hum cheesy bacon dips, trifles, cold pastas. 22 desserts and 24 main dishes. Looks like no ethnic. Nice layout and photos. Macheesmo by Nick Evans is a very popular readable blog. I have already added to my own collection his post about organizing your spices "The Joys of Being Organized" accessed 7/3/12. Nick is the author of Cornerstone Cooking: Learn to love your leftovers. See Nick's Macheesmo recipes sorted by ingredient. Someone's in the Kitchen with Brina by Beth from Baltimore has distracting, cluttered layout, so so photos, no recipe index, and seems to be dominated by trendy American fare like desserts, creamy pastas and cooked Brie. I always have a problem with broiling and or saucing cheese. Ditto on puffy pastries. According to the categories, Beth has posted 77 desserts and 2 vegetables. I will not be here long at all. Sugar & Spice ugly design, garish (although not in your face ads, and lots of yukky sweets like "Vanilla-Glazed Yeast Doughnuts", which is just what the blog name implies. Duh. Sweet Savory Southern has simpe design and NO ads. I'm in it for the Mexican which includes Vegetarian Quesadillas and Chipotle Chicken Tacos . More good one for me are: Santa Fe Soup from her soup category and Baked Pumpkin Bread. Nothing Thai. But there is an Asian Stir-fry. There is also a "Chicken Tortilla Soup" hidden away in soups and crockpot categories. SweetTea in Texas's Weblog "A Southern Wife's adventures in cooking & marriage" is a nice organized ad-free blog. Linda likes to collect cookbooks from places that she and her husband have visiten in their travels. She started with the A Taste of Our Island, a collection of recipes from Port Aransas, Texas the weekend they were there when they got married. Needless, I love the cookbook collection idea. Tangled Noodle In Search of the Why of Chow is a rather fancy, very well laid out, blog by Paola Paska who started Tangled Noodle in late 2008 as a corollary to her studies in a self-designed undergraduate curriculum exploring food in anthropology, sociology and history. Thanks to her blog, she become a (slightly) better cook, learned to take (reasonably) good photographs, and polished her writing skills well enough to be paid for it. Bravo! Great phots and good writing. Unfortunately no search box nor index. Not even categories. So I just browse but have difficulty finding recipes. From what I can glean Paolo has quite a bit on the Phillipines. Where's that index?? The Beancounter by an Australian man is an ok chatty sort of blog with ads (groan) a simple layout. The content is, in my opinion, squeezed into a central band that is too narrow. But hey that sort of thing is much better than layouts with garish backgrounds or light colored text and/or links. So on with the good points. Recipes I like with good explanatory photos. He has some unique items, such as how to make chicken congee and a side dish of tripe. Now I will never make tripe and I do not know anyone who has made tripe, but I find it interesting to hear about it from someone who has made tripe. Who could not like a food blog that includes Pistachio Ice Cream complete with lots of good tips? Not I. Lots of Thai, Philipino and Asian entries. The Beancounter is well worth perusing. I'll be back. I really like it here. The City Girl Cooks nice layout, no ads, and good recipes, such as reposted from Cookie Crumbles Crockpot Pulled Pork>. I was definitely happy here. The Cooking Ninja is a young Singaporean mom living in France who loves cooking. Ninja's blog has a simple layout and Chicken Korma! Need I say more. There are a few tolerable ads. No index, but you can Search Cooking Ninja by Keyword or Browse Cooking Ninja by Food Type or Browse Cooking Ninja by Cuisine. I expected a lot of Asian dishes, however there are just a few. Ninja has definitely embraced la cuisine fran¸aise because she has 49 French dishes, including a very authentic Moules Marinière.. Nice blog indeed. The Cynical Chef has a "one long skinny centered column" layout with a rather dull gray background, but there are NO ads and unfortunately no index either. But there is a good choice of recipes. At the bottom of that long column I discovered categories and there is a real gem of a recipe, Mike Lata's Shrimp and Grits, which can be found in either seafood or spicy categories. Nothing, I repeat NOTHING is better than Shrimp and Grits. The Food Duo from Carlo and Carmella, fun-loving New Yorkers who are now vegan. I enjoyed their post on Vitamix vs. Juicer (I have and enjoy both of these machines, and their post reiterates what I like about both) I also liked their recipe for "Mango Salsa Juice" Blend in the Vitamix: 1 Mango, 1 Tomato, 1/4 Cucumber, 1/2 Large Bell Pepper, Handful of Cilantro, 2-3 Clove of Garlic, and a Dash of Cayenne and Tabasco. The Foodie Fashionista by Dori, a graphic designer from Massachusetts, has a pleasant layout, but I would like to see the actual text in a white background so it would me more easily read. I like the photos and the recipes. On the first page I saw Chinese Vegetable Stir Fry, Steak Fajita Quesdillas, Guacamole, and Linguine with Mussels and Clams. If I find Chicken Korma, Dori will get an A for sure. The Lighter and Local by Kim from Newburyport, Massachusetts, a beautiful, little seaside, typical New England city filled with brick-lined streets and homes dating back to the 1600's Kim buys local. Good recipes and photos. And there is a Recipe Index plus labels on same page. Great! That means I will be back. The Organized McTatty by Patty from Minnesota, a young married who is "easily amused, incredibly disorganized, cooks with somewhat skill and loves to decorate." She also fosters dogs and grows vegetables. Her blog serves as a journal of her life, and a fun tasty life it appears to be. OK blog with nice simple layout and ok photos. No recipe index. While browsing I found some ok mainstream USA recipes, the type of fare you'd expect to find at tables in Minnesota. Not enough to lure ME back. Bring me back to NYC, Miami, LA and San Antonio! The Spicy Skillet by Ashley is updated haphazardly. Ashley cooks only when her husband is home. When her husband is deployed she lives on junk food. Thank God he is home enough for Ashley to post some pretty good recipes. Ashley has a nice blog with good photos. No index, but categories and a seach box, and there are NO ads. I like the idea of Shredded Pork Tacos in the slow cooker. The Summertree Cafe by Katie, from Kansas, has rather poor design, specifically the links are in a hard to read light blue, but she has a Index Recipes. Hurrah! Katie likes "carrots, especially carrots" so here is the link to all her recipes which include carrots. Whoops. She has no carrot recipes, but here is her for Sunrise Smoothie Pulse in a high-power blender until smooth: 1 washed peach with skin, 1 frozen banana, 1/2 cup orange juice and a handful of ice cubes (optional). Two Peas and Their Pod by Maria and Josh Lichty from Salt Lake City, Utah has good photos and recipes. Check out the categories. Ads and horrors! survey requests lurking about. Found Two "Lemon Cornmeal Pancakes". The Way the Cookie Crumbles Fantastic blog with a complete Index Recipes. Interesting stories and perfect photos and layout. I already took the "Goat Cheese Almond Strawberry Cheesecake" she posted from Love and Olive Oil. I was so impressed with Bridget's blog that I took her up on her offer of "Liking" her The Way the Cookie Crumbles Facebook Page. I make a habit of checking out the blogs good food bloggers recommend. Here is the List of Bridget's Favorite Food Blogs with some added comments by me. Epicurean Travels by Erin Claassen who travels by cooking exotic foods in her kitchen. Erin has posted recipes from Hot Sour Salty Sweet: A Culinary Journey Through Southeast Asia by Jeffrey Alford and Naomi Duguid, and from, what is most unique, Thai Cooking by Bahn Gah-Nah. The latter is a hand-written cookbook directly from Thailand. What a treasure. I will soon be back to both her entries regarding this one-of-a-kind delilght. See Massaman Curry from Thai Cooking by Bahn Gah-Nah and Pad See Iew for these two posts. Tiffanesh's Treats No index. Not much spicy. Fine layout. You will find dishes like Lemon Bundt Cake with Glaze. Tiffany's husband Ganesh is Indian, so I did find 2 interesting recipes with the label "Indian" and I will return to check them out. Tiffany's Temptations I found Beef and Paprika Ragout here and will check back later to see if anything else tempts me. Tiny Kitchen Cooking Did find Chicken and Broccoli Thai Curry. And I found 2 recipes from Camellia Panjabi I'll be back to check those out and to explore more in the categories. Vicki's Healthy Eats and Sinful Treats is mostly treats. Layout consists of a dark pink background. Zucchini Bread caught my eye. Vicki makes it from one giant zucchine she buys at the local farmers market from "an old man, in his early 80's, who drives an old rusty red ford pick up truck, and is the nicest little guy ever". We have this same guy to thank for Zucchini and Turkey Lasagna too. Chicken Riggies seem to be like Pasta al Vodka with chicken and no vodka. What Recipe? by CDL, a young mother from Milwaukee, Wisconsin. Good layout. No ads. Good recipe selection including a number from The Wine Lover's Cookbook one of my favorites. A Southern Grace by a food technologist who describes herself as "American by birth, Southern by the grace of God". I did not find recipes, but blog has great luscious food photos. Cakespy, authored mostly by freelance writer and illustrator, Jessie Moore Oleson. Cakespy is dedicated to seeking sweetness (literally) in everyday life by writing about bakeries, conducting baking experiments, and picking the brains of bakers and food artists, and finding awesome products for lovers of baked goods. Canela & Camino about Peruvian food; by a missionary who has lived in Peru since the beginning of 2003. Canelle et Vanille - did not find recipes here. They may be here, but I did not readily see any. Lots and lots of good photos of food and scenery, including the Basque area. Will have to go back when I have more time. Caviar and Codfish - all I found was text - lots of it pretty rambling and boring. I could not seem to navigate to a recipe. Will never go back there. French Tart grew up in France, lives in Georgia. is a certified holistic nutrition consultant and wellness coach who writes all about food. Fancy (an cumbersome) layout with NO, ZERO, ZILCH search ability. Hey, there are recipes in that blog somewhere, but the only way you are going to find them is to open up each post. Her mom probably does that. Don't know about the rest of us. I found a Tuna White Bean Salad. Yea, open up and empty out 2 cans and cover what's in the bowl w/ vinaigrette and serve with Romaine. Bye. Kuidaore by Jocelyn from Singapore has absolutely fantastic photos of cupcakes. I think Jocelyn is a food photographer. No Recipes from Marc Matsumoto, freelance food photographer, recipe developer, and marketing consultant who’s loved cooking since before he could "see over the kitchen counter". For Marc, food has been a life long journey of exploration, discovery and experimentation, and as he continues along his own culinary path, he wants to share what he learns along the way. His philosophy on cooking is that "it’s 50% technique, 40% inspiration and 10% ingredients". He strongly believes that with some basic techniques and a little inspiration, you can make a tasty meal, and Marc does indeed share experience, thoughts and techniques. Despite the name of his blog, Marc actually does provide recipes, but with much more so, when you read his posts, it is like having a teacher at your side. (The great chef James Beard used to write his recipes this way.) When I checked out Marc's recipe for "Pho Gà (Vietnamese Chicken Noodle Soup)", I learned a lot about making chicken broth. My own method is debone chicken and make a broth with bones using a pressure cooker then add chicken just long enough to cook, but I am going to try Marc's reverse method of simmering a whole chicken, taking it from broth when it was done, remove chicken meat, then let the bones cook longer. With the very helpful Recipe Index, you can easily browse through Marc's entire collection of recipes by cuisine, type, main ingredient and diet. Marc is of Japanese origin but he cooks all types of ethnic foods. An added plus is Marc's list of his favorite equipment, which includes a Macbook Pro. I was so impressed with Marc's blog that I signed on for the No Recipes Facebook page and I will be hanging around a lot. Fun informative reading, perfect layout and navigation, good photos too. I would have no problem making every recipe here starting with "Coconut Shrimp with Spicy Orange Sauce". I LOVE this blog. Affordable Wines for Everyday by Ordinary Wine Guy, a young man from Louisville, Kentucky, an employee of the Wine Rack who is studying for his sommelier license. Check out http://everydaywinechoices.blogspot.com/2011/02/valentines-day-dinner.html. Dessert First by Brooke, a working mom with a super busy career. Not too much here for me. I liked Slow Cooker Sour Cream Pork Chops. Toque Toques en français, good layout, index of recipes. Appetite for China by Diana Kuan, a New York-based writer and cooking teacher who is somewhat obsessed with Chinese food around the world. Her family ran a Latin-flavored Chinese restaurant in Puerto Rico, and later a Polynesian-style take-out and Cantonese bakery in suburban Boston. Diana;s blog is about the "diverse regional foods around China, and also the Chinese food outside the mainland: Portuguese-accented Macanese, Peruvian chifa, Indian-Chinese, and a myriad of other hyphenated Chinese cuisines. Diana has French culinary training and her writings on food and travel appear in The Boston Globe, Food & Wine, Gourmet, and the book Food Journeys of a Lifetime (National Geographic, 2009). She also taught Chinese cooking in New York and Beijing. In The Chinese Takeout Cookbook (Random House/Ballantine) which will be out in Dec 2012. Diana will bring Chinatown to your home with 80+ popular, easy-to-prepare and MSG-free, Chinese takeout recipes. I can't wait! See publisher's review. Meanwhile, check out the recipe index on her blog. Lobstersquad, A Food Blog with Illustrations is posted by a 37 year old illustrator from Madrid, Spain, who is currently living in Scotland with her husband and small daughter and son. Well, beautiful illustrations. Not much in the way of recipes. 101 Cookbooks. Got a shelf full of unexplored cookbooks and clippings? That was the dilemma facing writer Heidi Swanson when she started this blog. Now she writes about the recipes that come into her life through her cookbook collection, her travels, her friends and family and even her own creations. The posts combine anecdotes and recipes along with tips and substitutions for making them a success. The Amateur Gourmet. This popular blog proves you can't take cooking too seriously. When it comes to awards, Adam Roberts gets the nod for humourous writing as well as the reviews, recipes and "how-to" section. His style is a little off-beat -- think Condoleezza Rice Pudding with Berries of Mass Destruction -- but the recipes won't require a diploma in cooking. Canelle et Vanille. It's not hard to see why this blog is as famous for its photography as its recipes. Inspired by her favourite childhood aromas, this site is the brainchild of Spanish pastry chef and food photographer Aran Goyoaga. It's easy to get lost in the visuals and the stories, but the detailed recipes shouldn't be overlooked! Mennonite Girls Can Cook. Looking for a daily dose of deliciousness? Each day, one of the "girls" behind this blog -- Anneliese, Betty, Bev, Charlotte, Ellen, Judy, Julie, Kathy Lovella and Marg -- share a tried-and-true family favourite (thoroughly explained and tested, of course!) The blog features not just traditional, "from scratch" recipes, but stories of faith and inspiration in their "Bread for the Journey" posts each Sunday. Any money earned from their blog and cookbook of the same name extends their goals of sharing through donations to charities that feed children. Picky Palate. If you've got fussy eaters in your home -- whether they are adults or children -- you'll appreciate the family-friendly recipes on this site. Backed by her cooking contest wins and experience feeding two fussy children, blogger Jenny Flake offers a selection of "dressed up" recipes that are kid-approved but still offer some flare. Pinch My Salt. Health website HealthCastle.com awarded this blog with its "Fresh Foods" accolade for a reason. Blogger Nicole Hamaker tackles cooking from scratch using fresh foods and whole ingredients. This navy wife was posted to Sicily for four years and found her culinary calling in the sights and tastes of this renowned city. Simply Recipes. It's like peeking into the family recipe box, according to blogger Elise Bauer. In fact, the blog came out of a project she started after her 40th birthday. The goal: to document and share her family's tried-and-true favourite recipes. Like a good conversation round the family table, Bauer's readers chime in with their own comments and suggestions too. Smitten Kitchen. This blog got its start from Deb Perelman's 40 square foot kitchen in New York and has now extended into social media sites like Facebook and Twitter. You won't find "fussy foods" or "pretentious ingredients" here; instead, you'll find a wealth of accessible recipes and tutorials. There's even a separate "Tips" section featuring how-tos that you can follow through an RSS feed. Tartelette. French ex-patriot and pastry chef Helene Dujardin turned her love for food into a writing and photography career to share her passion. At Tartelette, it's all about the "sweet side of life", or more specifically the decadent desserts with the occasional savory thrown in. (Think Tiramisu Pear Tarts and Cold Strawberry Mint Soup, for instance.) Her photos are absolutely spectacular, and indeed they should be because Helene is the author of Plate to Pixel: Digital Food Photography & Styling which I want to get out of the library and read in hopes of improving my own food photography. Her text on a perfect background is a pleasure. And there is an Index. Some good recipes too. I liked her "Tangerine Creme Brulees Tartelettes". Bewitching Kitchen by Sally, who is originally from Sao Paulo, Brazil, now lives in Oklahoma. Great layout and recipes. Check out her entry on simple desserts which includes recipes from Emily Luchetti. Hurrah, Sally has created a Recipe Index. Sally loves baking and she has a section devoted to Brazilian recipes. Not Your Mother's Cookbook, by Beth Hernsperger, author of The Ultimate Rice Cooker Cookbook, is of course excellent. Beth is a real pro. Everything's perfect. There are 29 pages. You can see list of recipes by categories, connect to Beth's FaceBook page. Check out her favorite blogs. There is no list of all her recipes. See for yourselt at www.notyourmotherscookbook.com accessed June 21, 2013. One Arab Vegan by Nada, a young recent university grad from England. Nada was born in Egypt and lived in Bahrain before moving to England. She knows her hummus. Great photos and good recipes. Check out Nada's hummus recipes, such as Heart Healthy Hummus accessed June 18, 2013. Her other recipes are good too. Made in the Kitchen by Mimmo Corcione is WONDERFUL! Great southern Italian recipes with vids! Here is how Mimmo describes himself: "Non è un cuoco ma è un grande appassionato di cucina. E un buongustaio e buon conoscitore delle ricette tipiche regionali. E nato a Boscotrecase (Napoli) nel 1946 sotto il segno dellAcquario. Ha pubblicato per la Club Le mie ricette preferite." I am on his YouTube list and am delighted every time a notice comes in that Mimmo has posted a new vid which he does about 2 or 3 times a week. A tasty way to brush up your Italian. To find more top blogs, try FoodBlogSearch.com to find recipes from food blogs. * Regarding bloggers recommended blogs. Lists are partial because I take out duplicates like Heidi Swanson's 101 Cookbooks, Everyone has Heidi on their list!